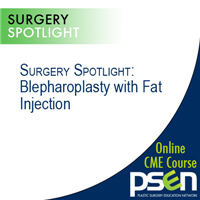 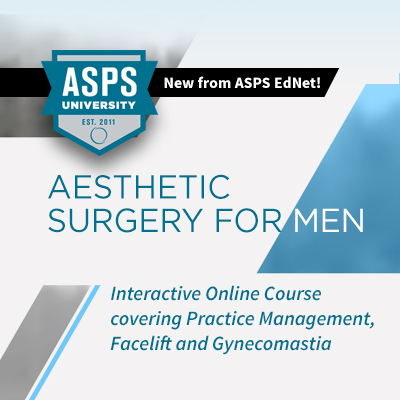 ASPS University: Aesthetic Surgery for Men is a multi-part series comprised of lectures, recorded discussions, surgical video and recorded webinars hosted by Keith Jeffords, MD. Dr. Jeffords presents a variety of hot topics and controversies in male aesthetic surgery. 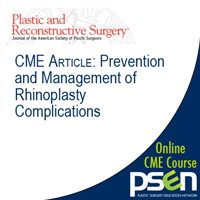 Module 1: Aesthetic Surgery for Men: Practice Management focuses on how to design your practice to target male patients, and the common procedures associated with male patients. This course also gives tips on how to effectively target, market, and accommodate potential male clients. The ASPS designates this enduring material for a maximum of 11.5 AMA PRA Category 1 Credit™. Physicians should claim only the credit commensurate with the extent of their participation in the activity. Keith Jeffords, MD, DDS has a speaker relationship with NeoGraft. Richard Greco, MD has an: Investment relationship with GID; Ownership relationship with Stratspey Crown; Royal and Ancient Society of American Plastic Surgeons President and Advisory Council; Radiant Magazine Advisory Board; Ceatus Media Advisory Board; Consultant relationship with Allergan, Mentor, J and J, Lifecell, Novadaq; Working with relationship with TouchMD. None of the other participants have any relevant financial relationships or affiliations to disclose.